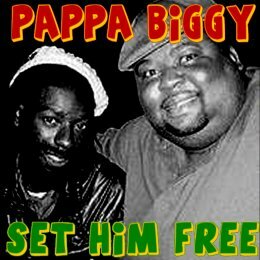 WWW, September 28 2010 - "Set Him Free" is a powerful track by the Connecticut-based Jamaican singer Pappa Biggy, created in 2009 when the news broke on Buju Banton's arrest in Florida on cokane charges. After almost nine months of being in jail, Buju Banton was finally put before a judge and jury, who could not come to a verdict with the result that a new trial is set for December. That's when Buju Banton will then be in jail for a year. Pappa Biggy graciously gave the Dubroom permission to upload the track. Mek him defend himself before the judge and jury. I hear the people dem bawling, set him free and send him back home to we. Before my people open up their eyes. WWW, September 2010 - Ever since Reggae Music is there, there is Reggae Music in the UK. Of course this includes a whole lot of Sound Systems, each one coming with their own selections and equipment. In this special episode of the Ambassada Hi-Powah podcasts, we are taken to a heartical session by the mighty Entebbe Sound. Sure, the sound quality is not in the best digital quality, possibly even taken from cassette tape. However, this increases the experience of heavy bass and live chanting by several MC's. The energetic session, of which about 46 minutes is recorded, is a school example of the heartical vibes and spiritual truths which are being spread through the conscious Sound Systems, of which Entebbe is not the least. You'll hear a crucial number of Dub Plates (special mixes), over which there's -next to chanting- a lot of effects and EQ changes. The bass goes deeper than deep, the tunes are presented in the true old-skool Sound System style of wheeling records, having "silent" breaks between the titles, et cetera. WWW, September 2010 - Named after the great Nucleus Roots track (played in the show), DJ Ian Irie shows us once again what over three decades of experience can bring both the selector as well as the listener: An Irie Meditation it is! Another thing which shows the expertise of our selector, is the fact that tracks from several different periods blend well together in the mix. There is a timeless, eternal if you will, element there which can only be presented when it is experienced as well. 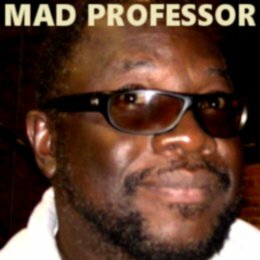 Yes I, another great selection by one of the veterans of the Sound System culture that started in the Jamaica and the UK but has in the meantime spread all over the world. WWW, September 2010 - Based in Glasgow (Scotland), Mungo's Hi-Fi Sound was established in 2000 and have continued to grow into on of the better known Sound Systems from the UK. In this tune, we're getting a special remix the Sound Systems did especially for the Polish based Ostrada festival. A deep One Drop (bass) Drums, an ever deeper bassline: the foundation is truly solid. The mixing is skillful, all the instruments are there including the horns and of course there are vocal snippets . All in all, when you didn't know Mungo's Hi-Fi this is your chance to change! 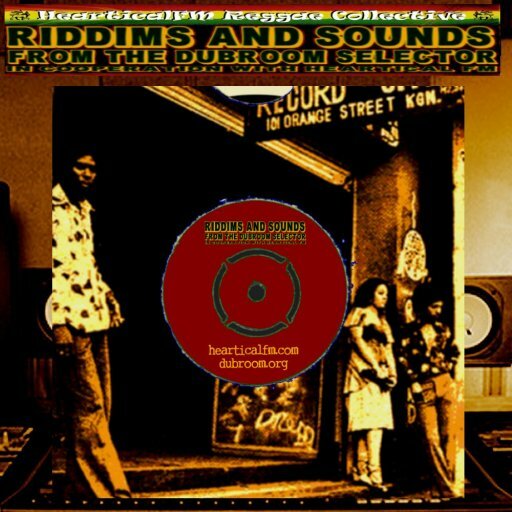 WWW, September 2010 - In this special remix of the Johnny Clarke collaboration with the Soothsayers band, done by UK based Sound System and Dub producer Manasseh, we have yet another true gem of Reggae waiting to arrive on your hard disk. It's a crucial tune, both production-wise as well as lyrically. Johnny Clarke's voice ripened more even though back in the seventies his voice was already ripe. It's amazing to hear just alone, how decades of singing has brought Johnny Clarke to this level. WWW, September 2010 - Riding a contemporary rendering of the classic Real Rock riddim, Everton Blender showing once again just what he is able to do with his voice. In "Ghetto Youths", he stands up for the fact that there's too much suffering in the ghetto's in spite of the fact that many of the youths have good hearts. Where many look down on the ghetto people, as much as many will also see the rising of the good-hearted youths as they fight their way up to the top. A thought-provoking statement, delivered in the Roots and Culture style of the upful Rastaman. WWW, September 2010 - "Give Me Good Sensi" is a well-known Zion Train riddim, with Earl Sixteen at the microphone. In this live rendering done at the Polish Ostrada festival, there's no Earl 16 but the vibe is definitely more than there. The message is clear, and the message is given in Poland but should be heard all over: we need Rub a Dub and the right sensi, not no chemical poison and devil vibes to mash up our minds. The music is clear, too: heavyweight bass and dub sounds, with live voicing and live mixing to create the good vibrations once again. WWW, September 2010 - Introduced as "This Is The Sufferers Style", Zion Train comes again with a Dub Plate style Dubwise riddim, with nuff live mixing and singing, nuff wheels, nuff breaks, nuff message. 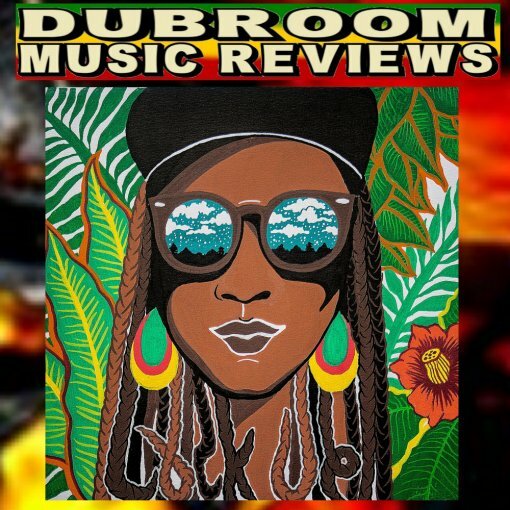 Nine minutes and forty seconds of pure Dubwise and Conscious Niceness fe true: as the Zion Train interacts with the audience, delivering the message that it's all about knowing about Jah as the ancients knew about the Creator. Given the fact that this is all taking place at a location where already a few decades ago the Jah-denying communist government was still trying to fight all that knowledge down, pure vibes for those with ears to hear! WWW, September 2010 - After the countdown, we're being treated to a very majestic intro, with a full band plus backing vocals delivering the right vibe for the rest of the track. A very smoky voice continues to ride the live riddim after the introduction, asking just why there is so much money spent on rockets to space and military objectives, where love and peace should be running the place. The band plays tight, obviously they've done this before, including the electric guitar solo which give the music a rock vibe, and a saxophone playing crucially skillfully. WWW, September 2010 - They've backed for Winston Jarrett, worked with a lot of well-known names from Black Uhuru to Buju Banton and many others. Seattle based Dub Lounge International know their Roots Music and their Dub, too: especially with Scientist At the Controls! 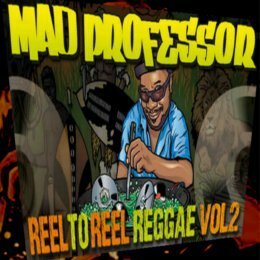 The riddim is ultra-slow, drums are played in One Drop style, the bass is there at the right place: Scientist rides the multitrack recording from behind the mixing board, where he has an interesting interaction with the music as engineer and recording blend together for three minutes and fifty-six seconds. This one is simply, Ire, cool music, totally in harmony with the name of the players of instruments. WWW, September 2010 -Attention all serious DUB producers: dive into the vaults of Neil Perch (Zion Train, Abassi All-Stars, etc etc) and get some massive material which will not just spice up your own productions but will lead you into the deeper realms of Dub for true. A review in word and sound! It's almost like DUB was created for the technologies that would arise in the decades after the music was born in the late 1960's, early 70's: Zion Train's DUB Selection is another very fine example of that. For just over 50 Euros, you're being provided with powerful drums, real bass, real keys, real vocals and: real horns! The package, about five gigabytes large, basically comes in two parts: REX and WAV. Even though the wave files contain some most interesting material, a look at the Rex section provides you with a quick-start, especially for owners of Reason and such programs. Which is exactly what we'll do at the start of this review. Some browsing through the Rex files within Reason comes up with some -more or less- matching loops incredibly quick. After about 25 minutes, yours truly collected a couple of drum loops, a bass line from a bass guitar, some keys and a matching trombone section. A little bit of Dub mixing followed, with a truly simple set-up containing just two echo's, one reverb (in initial mode) and the filters on the Dr. Rex loop player. A very interesting experience as the sound of Neil Perch's studio blended with the effects, definitely creating vibes already. The result? A four-minute Dub that sounds pretty fair. Admitted: there was a little bit of cheating involved. At the start of the Dub, you can hear an introduction which did not come with the Rex files, but rather was the result of a sneak preview at the wave files, which can also be opened in Reason and triggered with the drum computer. These wave files contain, next to the same material which can be found in the Rex section, some very interesting stuff. Included in this is an impressive selection of vocal recordings, some of which have a rather melodic approach. In the second tune created for this review, two of these vocal samples are included. That is, on top of a piano and organ from the Dubroom library and a couple of matching loops which were grabbed rather quickly. Again, just to see what can be done just a short while after you have the discs or downloads available for use. An advantage of the fact that most loops come in the Rex format, lies within the possibility of these files to play in another tempo than the loops were originally recorded. 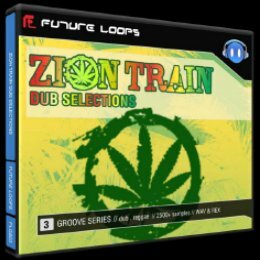 This enables the owner of the Zion Train Dub Selections to dive deeper and combine loops from various tempo's in order to create something completely new. Add some horns, some keys, a clavinet, a bassline and drums. Restructure some of these loops, like the bass, and make a riddim that has a vibe. On top of that, take 8 bars of toasting from the vocal samples, then cut and paste them in the right place of the rhythm. Such a thing opens up deeper possibilities of the package, especially for those producers among us who are willing to spend a little bit more time before the dubbing can start. Admitted, there was some final mastering done outside of Reason, but that wasn't much more than a limiter and subsequent normalizing. It should be said, though. More important: the setups used in Reason for these three dubs were kept to the most simple level, in order to show the basic power of the loops. Basic power, which can and should be seen as self-evident for everyone remotely involved in the production of computer and loop based DUB music. Where the Rex format is designed for the software which can deal with it (Propellerhead Reason for example, a crucial tool for the computer based Dub producer), Wave Files are much more open in nature. They require editing, subsequent sequencing and possibly more editing. They will keep you busy for many hours before you're able to produce something within your sequencer or multi-track recorder. But then, you're really able to deal with the depth provided by Neil Perch in this excellent sample pack. So, let's leave the Rex files for a while and focus on that biggest part of the sample and loop collection: the wave files. They're all formatted in high quality 24 bit, and can be divided into two different sections: loops and samples. A look at the samples, first. What stands out is the enormous amount of vocal hooks and licks, jingles if you will, some of which we already heard in the first three audio examples that come with this review. Some of these jingles can also be found on two podcasts from Radio Dubroom 2010 (see further in this review). 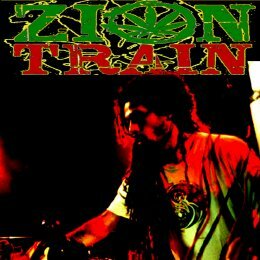 Zion Train works a lot with vocalists Brother Culture and Dubdadda, both of which contributed to the vocal files, 50 in total. They vary from "short shouts" ("now man", "ease up", etc) to more melodic and long parts, which you might have to cut and paste a little bit, just like was done in the third DUB tune. On top of that, a lot of vocal parts can be used for radio shows as much as your own Dub productions. Just like the multitude of sound effects you can find as well, by the way. The effects are divided into three categories: "Lush FX", "Atmospheres" and "analogue Noises". The three of them each come with their own puropse and idea, alltogether the possibilities of use are rather endless. The Lush FX are definitely the most versatile. They come from an analogue synthesizer and contain many beeps, sweeps and siren-style sounds. When properly put into echo, they will definitely spice up just about any Dub tune. 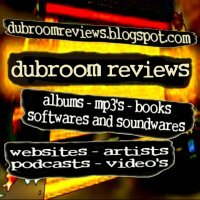 In two different podcasts of Radio Dubroom 2010, you can listen to some jingles and Lush FX, so that you can listen for yourself. The Atmospheres are more designed for Dub productions, even though there's a lot you can put in podcasts as well. Predominantly, they can be described as short audio-movie clips: a lot of nature sounds, for example. Indeed: field recordings. Synthesizer atmospheres are there too: they will serve just fine as intro, outro or intermezzo in your own Dub creations, with or without the provided loops. The Analogue Noises form yet a third and different category. These are not just samples, a lot of them can be used as background (or foreground) loops. Loads of techno/house vibes, which -when combined with crucial Roots drum and bass lines- serve very well in contemporary DUB. On top of the vocal and effects samples, the bulk of the wave files are loops. Drums, Bass, Keys, and Horns (defined as Lo-Fi brass). There are 40 different drum rhythms, all with a couple of variations. You don't just get the drum loops, each specific drum is also separately recorded and put along with the full drum loops. This doesn't just enable you to make a different balance of the drum mix, for example you might want to increase the bass drum, it's also perfect for those that want to convert their wave files into dr rex loops in order to create their own drum rhythms. 72 live bass lines and 50 synth lines: that's more than enough to create several albums full of new riddims. They range from very militant lines obviously designed for steppers drums to more relaxed lines, deeper if you will, for the perfect One Drop dub. Many lines, when you hear them, will produce a drum rhythm in your head and there's a huge change you'll find a matching drum rhythm too. Every line tells you the start chords to play along with as well as the BPM tempo (of course). On top of the lines, you get all the relevant notes as well to load in your sampler in order to make your own bassline. The same thing -and more- can be said about the Keys files. There's piano, Rhodes piano, organ, and even clavinet: the "whole" original keyboard section that we know from the old days. The loops are versatile, like the bass lines. From piano chords cutting like a sword (especially with some strategically placed reverb) to organ shuffles, from unmistakable clavinet licks to the Rhodes piano which gives that ancient vibe. On top of the loops, the keys are provided as single tones too so you can load them in your sampler. Just like the bass lines. However, all the instruments also come with single chord hits! When you're really lazy you can just pick a few chords, load them in the drum computer, put them on the 2 and the 4, and off you go. Arguably the most important part of the whole package can be found in the "Lo-Fi Brass" map. Lo-Fi? Maybe because the recordings are analogue, definitely not recorded in high definition. Crucial, because a horn section which is too clean just doesn't seem to fit in Reggae, it makes the music a bit too clean. After all, you want effects on top of all instruments... At least, in the opinion of yours truly. 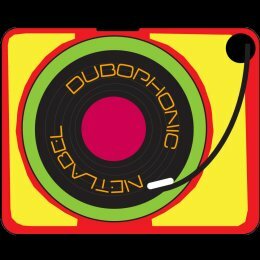 Horns are well-sought after, both within the circles of musicians trying to form collectives or bands as well as the contemporary Dub/Reggae producer who makes use of digital technology. For many people, the horns are just as much part of Reggae as the bass, at least, almost. If only for this reason alone one and ones should get this pack, the price won't do much harm and for that you get no less than 208 different loops. Structured after opening chord and BPM tempo, that is. Some are part of one riddim, others seem to be more or less standing on their own. All of them can and should be used in many Dub productions to come. Unfortunately, there are no single hits for the horn section but a little bit of editing in the wave files would even provide you with that, this in spite of the fact that the themes and rhythm loops themselves provide more than enough already. Even though most of the loops are also available in Rex format, not all are. Especially the horns need to be transformed into the increasingly popular format which does require some work but this same goes for those who want to use the wave files alone. You might need to browse a bit before you'll find matching chords, bassline and horns. Otherwise,. enough room for editing and sampling to make your own. For this review, we only scratched the surface as the time to dig deeper was simply not there. Numbers used in the end of the file names at first suggested some kind of reference to matching files but after asking Neil Perch of the Zion Train about it, he said that these numbers could be ignored. That said: you will not want to miss out on this treasure of DUB niceness, first of all. At the moment this is written (September 2010) the price is just about 50 Euros which might require some to wait a month or so but then, you're already interested in the production of Dubwise and probably invested something already. All kinds of styles are represented and can be created out of the enormous wealth of material, all kind of production techniques can be applied which makes the collection interesting for people with a complete studio to producers limited to computer-based technology. 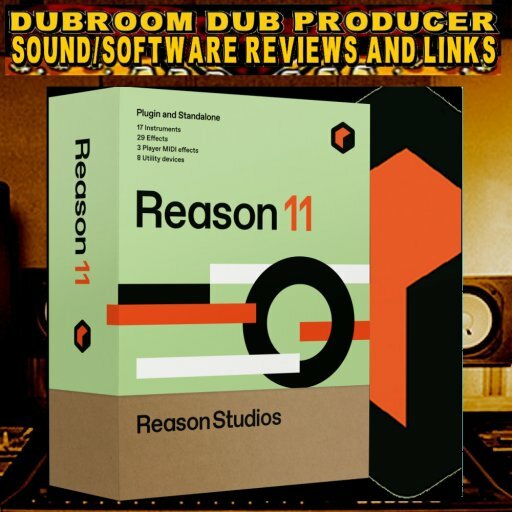 The four quick Dub tracks which come with this review proof it, as far as we here in the Dubroom are concerned: just a quick grabbing of (closely) matching loops and samples makes it possible to create very decent-sounding productions. What to expect when deeper digging and more time is used to open up the box even more? CLICK HERE TO CHECK OUT A DEMO PACK OR GET IT RIGHT NOW! 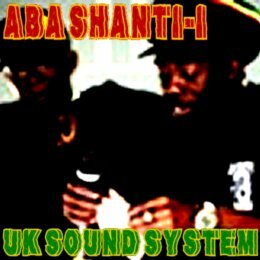 WWW, September 2010 - In almost two hours, we're getting ourselves familiar with one of the top sound systems in the UK, Aba Shanti-I. 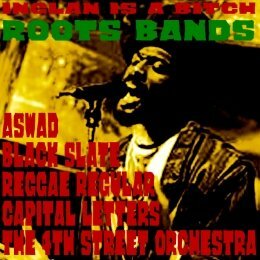 They produce their own music, play music by other artists from all times, they talk about their history and about the present state of Sound system Culture. No, this is not a documentary, it's Aba Shanti-I is sitting there with the interviewer and an audience just sitting there, contemplating what's going on. In the very interesting video, the two brethren behind the sound system speak out about the vinyl versus cd issue, about the philosophy behind their own productions, the popularity of Roots and Dub music in places like Japan, the European continent and (quote) "everywhere". Heartical vibes, interesting stuff for both selectors and producers, but for all Roots Reggae lovers this is a thing to watch. 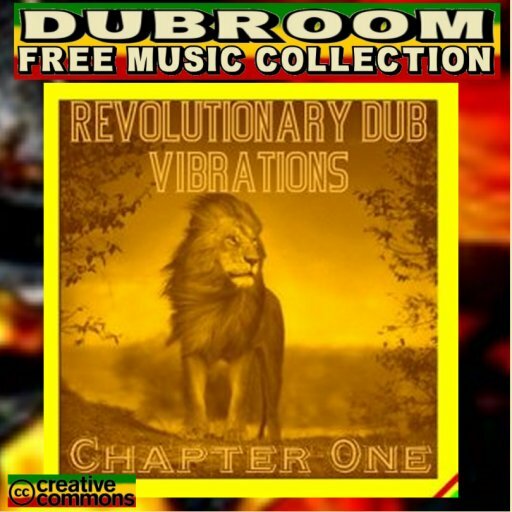 WWW, September 2010 - In several ways, Revolutionary Dub Vibrations Chapter Two takes off where the first Chapter left us: and it's going further as the musical improvement of several artists can be heard when compared with their more early material. Just like Chapter One, this compilation radiates careful selection based on musical quality. Dubwise, again, in all kinds of styles and versions. From the old-skool (Amalgamah) to contemporary digital (Dub Engine, GadManDubs), it's all there again. 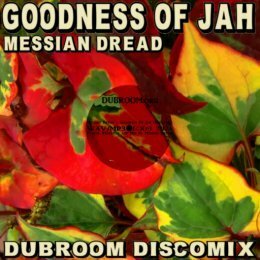 Crucially mastered, there's definitely one musical vibe in the compilation: a vibe which every self-respecting lover of the better DUB music will immediately feel inside. It's massive, it's a document of what's going on at Planet Online (DUB) Reggae Artist right here in Cyberspace, absolutely most of the tracks being top crucial and all tracks being Dubwise avant la lettre. Top compilation, top mastering, give thanks! WWW, September 2010 - UK based Dub producer Don Fe does more in his studio than "just" producing crucial tunes: one of these other things is mastering 10's of original Dub tracks which he compiled for his Revolutionary Dub Vibrations compilation album series. Presenting Chapter One! 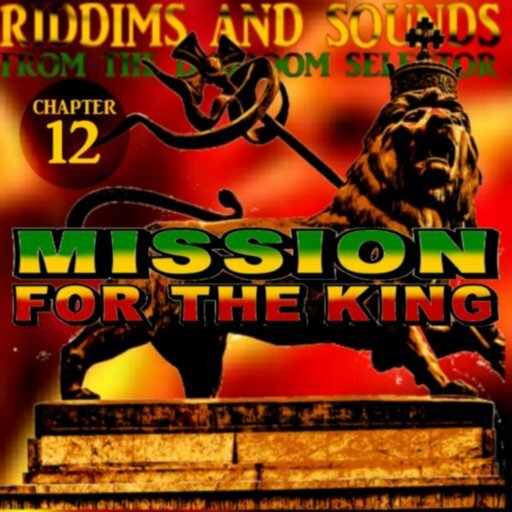 Those who have been following the running in the online (DUB) Reggae artist community throughout let's say the last 7 years, will probably know the majority of names on this first compilation: Jah Billah, Ya Bass, Ackboo and Don Fe, to name just four. The overwhelming majority of crucial selections with pumping bass lines, space-ial effects and strategically placed samples reveal the average quality of the music that is released consistently on the World Wide Web. 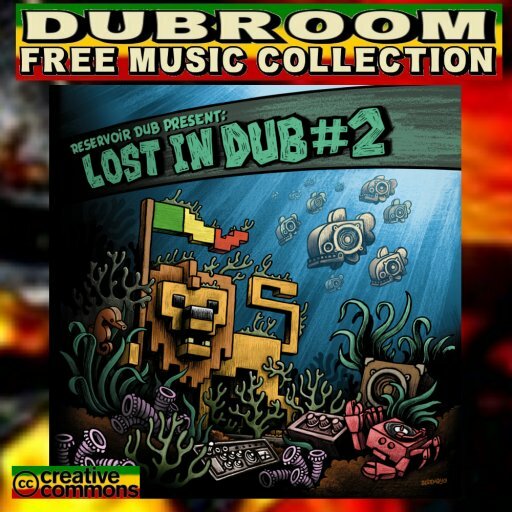 Dub it is: Dub from all corners of Cyberspace, Dub in all kind of styles with only the musical quality as guideline. We got the Spanish based Hotdrop band, UK based GadManDubs with some crucial digital material, and basically everything Dubwise in between. 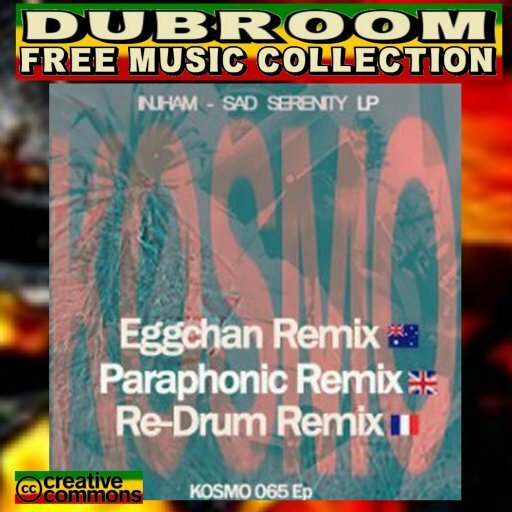 WWW, September 2010 - With six different mixes, the Sad Serenity LP shows us just how much contemporary electronic music and DUB have to do with each other. In fact, we find out just how much DUB is part of contemporary music! 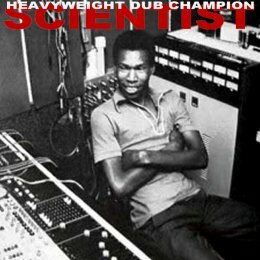 You like Dub, especially the Heavyweight Sounds coming from UK and mainland Europe? 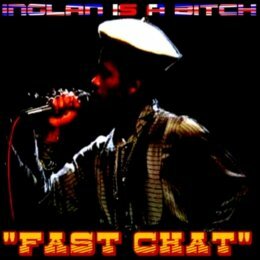 Injham should not be ignored, especially not this compilation of collaborations with Zion UK, for example. 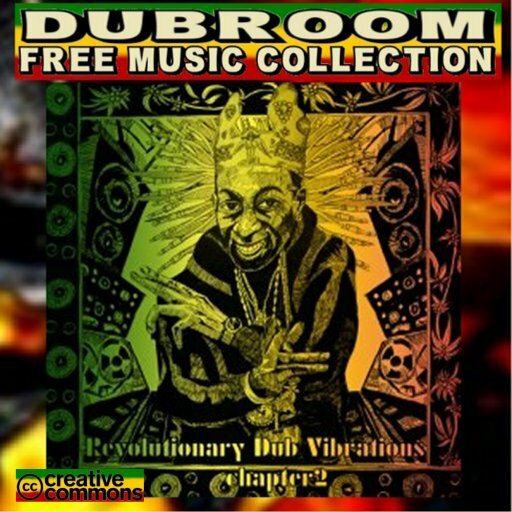 Roots Vibrations fe true, you cannot ignore this one. WWW, September 2010 - When they released their first music back in 1990, it was a cassette tape. 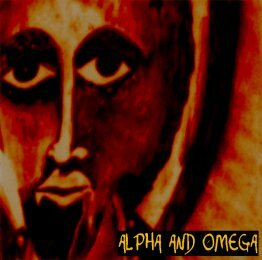 Alpha and Omega have been steadily building ever since and in the meantime have become one of the pillars of what we have come to know as UK DUB and ROOTS. The "UK Dub Twins" as we like to refer to Alpha and Omega right here at the Dubroom, are very generous to the online community. 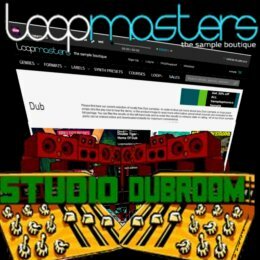 Not only do they provide Dub producers with some multi tracks of their tracks, lovers of DUB can also download a lot of their works for free, legally. Take the four Dub Plate mixes below, for example. Crucial material, special mixes of which other versions can be found on their albums.